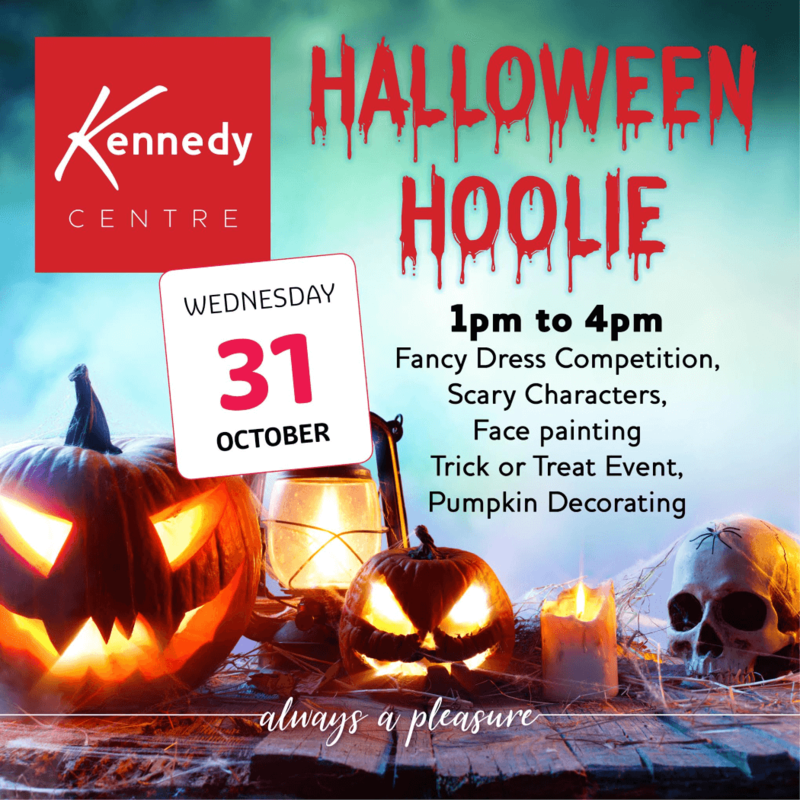 THERE is set to be spooktacular going ons at the Kennedy Centre as all stops are pulled to bring spine tingling family fun to celebrate their annual Halloween Hoolie. Ghosts, ghouls and a sea of witches hats are set to descend on the mall as several of the Kennedy Centre stores welcome families of all ages to take part in their Halloween festivities. Taking place from 1pm to 4pm and all set to the musical strains from a live DJ, children and adults can take part and create their own ghoulish pumpkins, have their face painted and awards will be given out on the day for those brave enough to enter the complex’s hotly contested and eagerly anticipated fancy dress competition. Kennedy Centre manager John Jones says he will be extending a warm invitation to one and all to celebrate half term and their Halloween break at the popular West Belfast shopping destination.